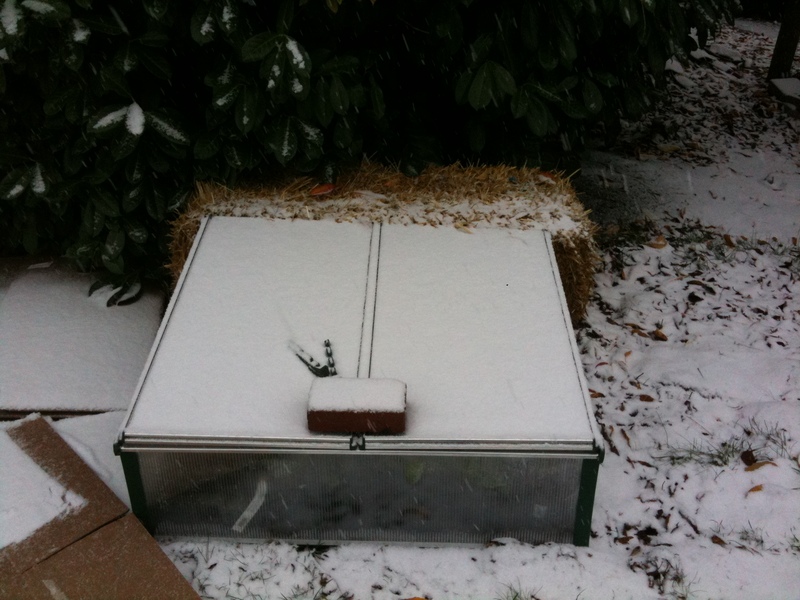 The cold frames are still reliably producing daily salad for us, despite the snow. In fact, I need more room as our seedlings are ready to transplant into their own full pots. Might have to purchase another one. Eating fresh greens in the wicked cold gives me much to be thankful for!